Deerfield, Illinois is an upper-middle-class suburb of Chicago with about 18,000 people and relatively little disorder. There hasn't been a murder there in at least five years, and the police department's three biggest cases of 2017 involved credit card fraud, a stolen car, and a home burglary. But Deerfield's elected leaders voted unanimously this week to ban many types of semiautomatic firearms they labeled "assault weapons," thrusting the quiet village into the national debate over gun control. Deerfield, now one of a handful of local governments to do such a thing, appears to have been motivated not by any specific threat but by the Feb. 14 mass shooting at Marjory Stoneman Douglas High School in Parkland, Florida. The lawsuit alleges that the Deerfield ordinance violated a 2013 state law that sought to avoid a patchwork of gun regulations throughout Illinois. The law, known as a "pre-emption statute," set statewide regulations, grandfathered existing local bans and gave municipalities a short window to enact new ones before prohibiting them altogether. Deerfield's village board says it is in compliance with the state law because its ban is actually a revision of a regulation on gun storage passed during that 10-day window. Opponents also say there's little logic to the ban other than making a political statement. "They just did this because they wanted to do it," said Richard Pearson, executive director of the Illinois State Rifle Association. "You can see what kind of impact that would put on free flow of commerce between these communities," Shaw said. Rosenthal and Deerfield Police Chief John Sliozis declined to answer questions about the ban on Friday, referring those making inquiries to official statements made earlier in the week. The ordinance itself says the ban may "increase the public's sense of safety" in public places and may help keep a mass shooting from happening in Deerfield. It also says the measure would help communicate "that assault weapons should have no role or purpose in civil society in the Village of Deerfield." And it notes that the 2013 ban in Highland Park has survived legal challenges. The morning after the ordinance passed, Rosenthal said in a press release she hoped the local measure "helps spur state and national leaders to take steps to make our communities safer." The police department released a statement saying the ordinance would "initially be enforced primarily through education and voluntary compliance" and that any confiscations would adhere to state and federal laws. "Members of the Department will not go 'door to door' to ensure compliance," the statement said. 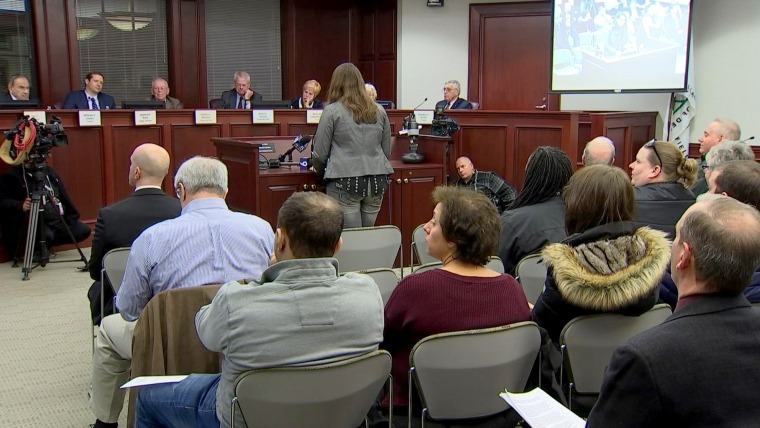 Gun-law experts said the lawsuit's focus on the 2013 state law, rather than larger constitutional issues, is opponents' best bet at defeating the Deerfield ordinance. "Does calling the ordinance an 'amendment' make it so?" asked Eric Ruben, a fellow at the left-leaning Brennan Center for Justice in New York, in an email. "Or will the court try to draw a line beyond which an 'amendment' becomes a new ordinance? These are just two of the difficult questions the court will need to decide." "I think Deerfield has some real problems on that," Kopel said. "They have some specious arguments about why the pre-emption statute doesn’t apply to their ban."